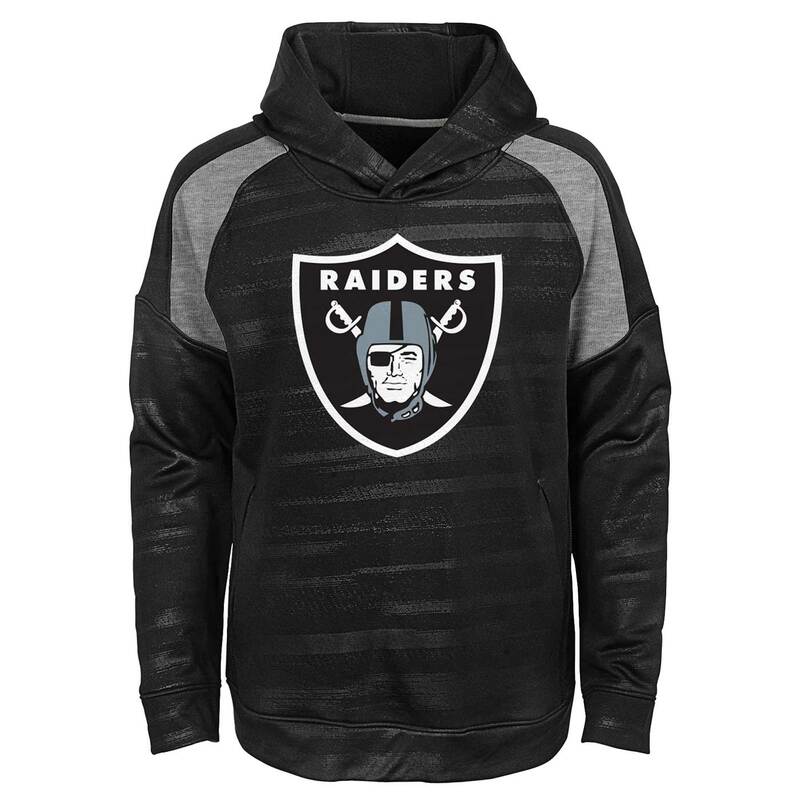 Get your little one game day ready with the Raiders Juvenile Clubhouse Fleece by Outerstuff! This hoodie features a team colored design, with grey panels on the shoulders, and a large Raiders� shield printed onto the chest. 100% polyester.